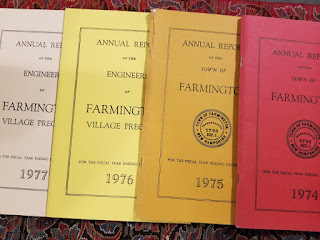 In 2017 we were able to secure an almost complete collection of Farmington town reports from the 1870's to the mid 1950's. Over the years we've had town reports filter in, but that was quite a windfall of historical information. 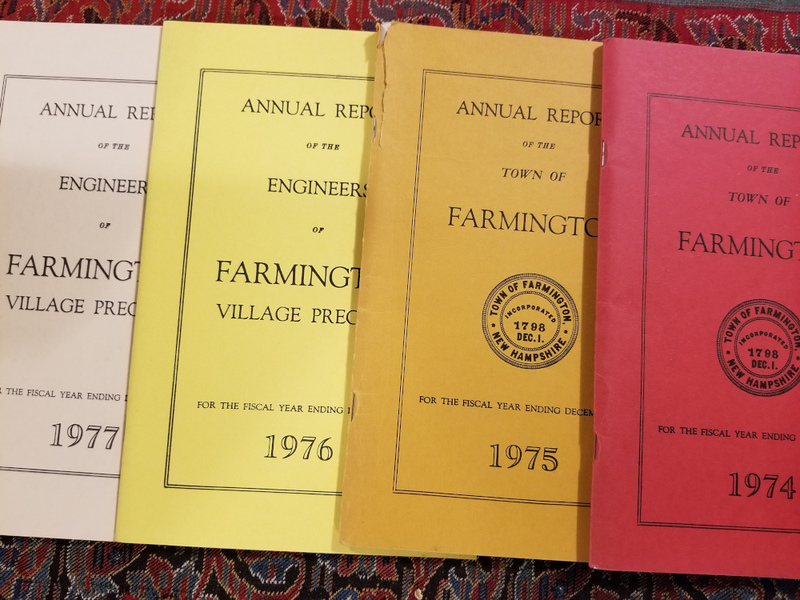 Last year we had an additional set of town reports donated which filled more of the gaps in the town report collection. 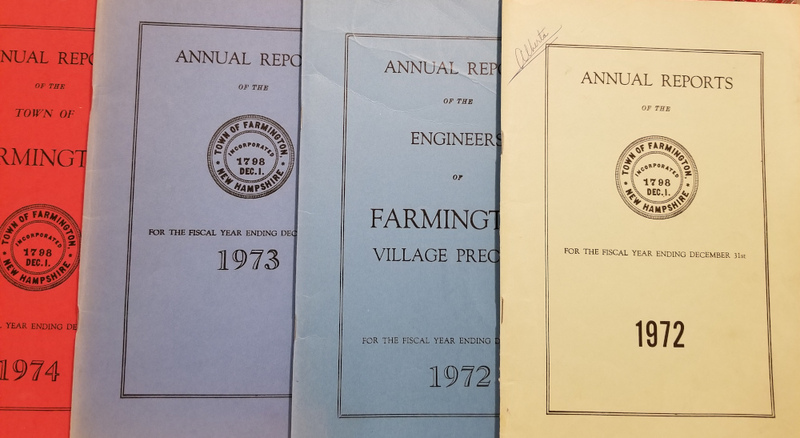 Along with duplicates in better condition to some of the items we already have, we were able to acquire a set of reports from the 1970's that we did not have, 1972 through 1977, to be exact. We have Joan Funk to thank for this wonderful addition to the collection! Thank you Joan! 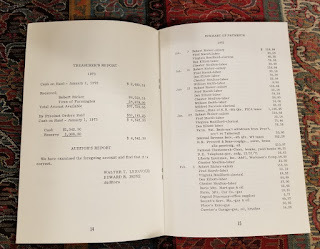 They are varied in look, color, size, and content, like all the report sets, and of course contain information which can be helpful facts when piecing together genealogical stories, family trees, and cross checking historical details. 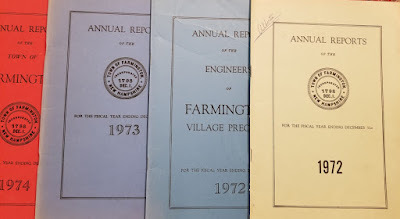 This set was also notable because it contained a separate Engineers Report booklet from 1972. It's the only one in our collection! 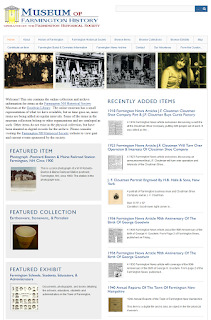 I also want to take this time to remind everyone that you can look up the old reports as we digitize them and put them into the online museum. 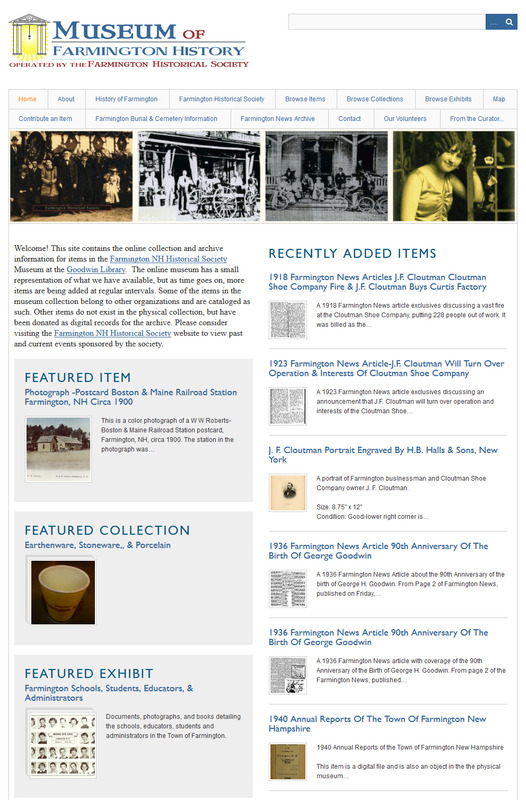 They can be found in the Farmington NH Annual Town Report exhibit in the online Museum of Farmington History. At this point you can find digital copies of reports from the 1940's through the beginning of the 21st century. I hope you find them to be as useful as I do.